Just a quick one today fabric lovers as I’m in an out of the attic trying to catch up on my bee blocks. I hate being behind and so I’m taking advantage of the relative cool to sew sew sew! Charlotte Church is across the road, jamming out at a sing-song at a local coffee shop. Three meters of the Ludovicka print. This is going to make the perfect backing for a little project I have in the pipeline. I’m still working out the details so I can’t share too much more with you, but watch this space, as I’m a sucker for a sneak peek! I love using Ikea prints for backing. 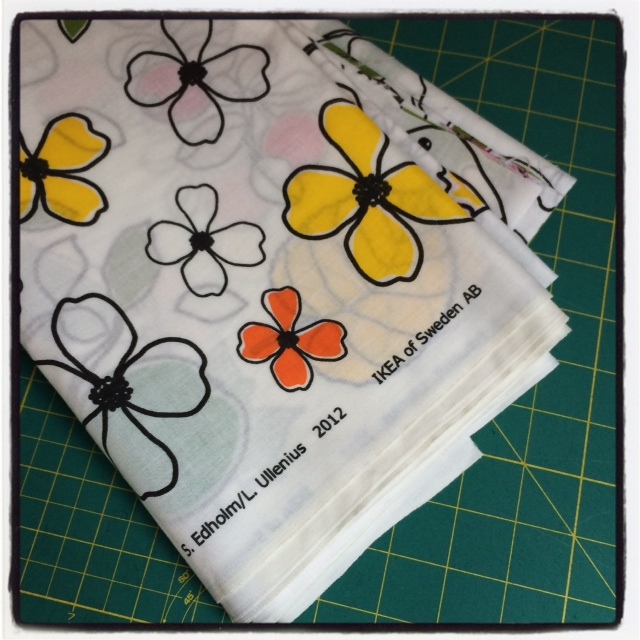 They mostly come in at 60″ wide, so great for larger quilts without the need to join pieces. That’s it! A little more reserved than last weeks splurge! Head over to Molli’s to see all the other fun stuff.